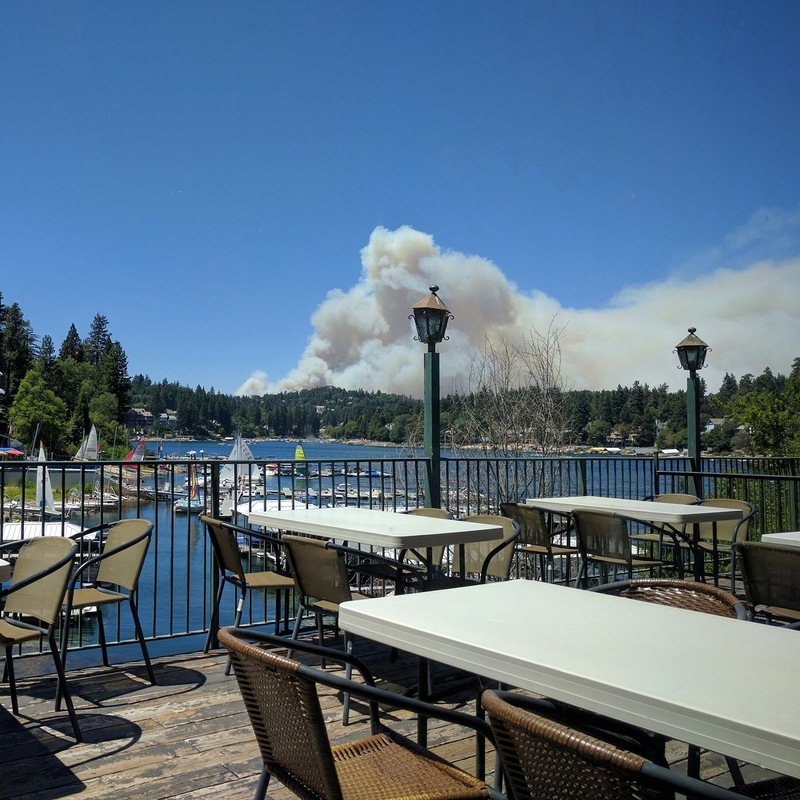 Lunch yesterday in Lake Arrowhead, CA. See the smoke in the background? We watched it as we road on Paul’s motorcycle around the curvy mountain roads to make sure it was not where we were going. At one point I saw the fire burning in a rage. Then as we rounded another area I could see where it crested and started going down the other side. As you can see in the image only smoke was visible. I pray that no lives, homes, or businesses were affected. Image | This entry was posted in 52 week challenge, landscape. Bookmark the permalink.